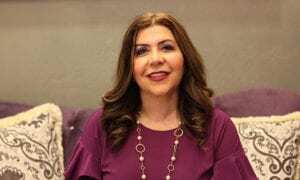 Dr. Hanna Mansoor is a former dental hygienist and a graduate of Wayne State University and the University of Detroit Mercy School of Dentistry. Dr. Mansoor is Implant, Laser and Invisalign certified. Dr. Mansoor has a very conservative view of dentistry and works hard to provide her patients with the best care! Dr. Mansoor encourages your questions and concerns and assures you they will be answered with honesty and compassion. She is dedicated to providing her patients with quality dental care in a personable, caring environment. Nothing feels better than to see a patient beaming when leaving the office! When not practicing dentistry, she enjoys singing, SCUBA diving, traveling, photography, and spending quality time with family and friends. To Schedule a consultation with Dr. Hanna, contact her office in Gilbert at (480) 279-3700.